Load it to the max. For 2007, you’re allowed to put away as much as $2,850 for single coverage or $5,650 for family coverage in your HSA account, even if your policy’s deductible is less than that. Invest it. Treat the money in your HSA as a long-term investment. Pay out of pocket for your health-care costs and don’t use the HSA money unless you absolutely must so you can build a HSA nest egg for retirement when you need it the most. Push your employer a little. See if your employer can offer HSAs by simply moving money from existing Flexible Spending Account or Health Reimbursement Accounts into an HSA. Make a full contribution in your first year. Even if you establish a HSA late in the year, you can still make the full deduction. Pass on the IRA transfer. You can one-time transfer from the IRA to an HSA, up to the maximum HSA contribution for that year. For more information (eligibility, limits, penalty, ect) on HSA, click here to find the providers in your area. A question I’ve always wondered about HSAs is can one get “cheapo” high-deductible health insurance for the sole purpose of funding an HSA and taking advantage of its tax-deferring properties? That is, can you have traditional employer insurance _in addition to_ a high-deductible HSA policy that allows you to fund an HSA? If you’re in a high income tax bracket, this could make sense, as I’ve seen supercheap HSA insurance that’s under $100/month. I am afraid I can’t answer your question. From the Treasury website, the only condition to have an HSA account is to have a high deductible health insurance policy and doesn’t say where that insurance policy comes from, either from employer or from a third party. I think you may have a misunderstanding about HSA. I think HSA is not a POLICY. It’s just a savings account to help you pay the high deductible of your own health insurance policy (that’s why you can’t have more than the deductible in your HSA account) as high deductible can actually reduce the health care premium. I think by a HSA policy Foobarista is referring to a policy that is qualified to link to a HSA. When I purchased my individual health coverage a HSA qualified policy was $10 a month more than the same deductible plan that wasn’t HSA qualified. I passed on the HSA plan because my income is low enough that I won’t owe taxes anyway. My company just switched from a traditional healpth plan to a high deductible plan. Basically, the premium difference pays for fully funded HSA accounts for every employee with leftover savings. For a family, the funded amount is greater than the plan’s max out of pocket so there is a guaranteed surplus no matter how big the medical bills are. Single people have a max $650 liability but single people are usually young and will rarely have big medical bills. Just be sure not to confuse an HSA with a FSA (Flexible Spending Account). FSAs are subject to the “use it or lose it” rule! I like HSA’s because the family right now is relatively healthy, and we can afford regular doctor visits w/o having to use the money in the account. That allows it to grow and grow tax-free. I’ve read a number of horror stories about retirees going back to work just to buy their medicine and I don’t want that to happen to me and the wife. I figure if I can put into it now, and it grows for 25-30 years, that should cover anything other than catastrophic medical expenses by the time I’ll need it. How is the HSA account handled after you leave your job? Can these funds be rolled over? Removed with a tax/penalty? Retained for other health insurance espenses? 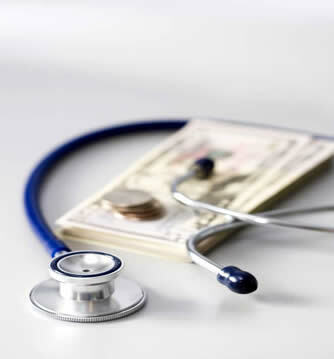 HSA money can always be used for qualified medical. You just are limited from adding more money in if you are no longer covered by a high-deductible plan. After age 65.5, you can treat it like an IRA and use it for non-medical if you pay income tax on it. Non-medical before 65.5, you pay tax and penalty.